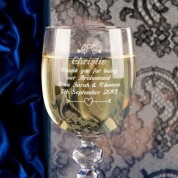 A bridesmaid is one of the most important members of any wedding party, and this engraved crystal wine glass will make the perfect thank you gift to give for all her help on your big day. 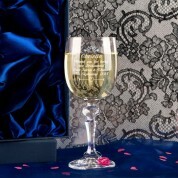 Your bridesmaid will enjoy her favourite tipple inside her personal glass when she reminisces over your special day. 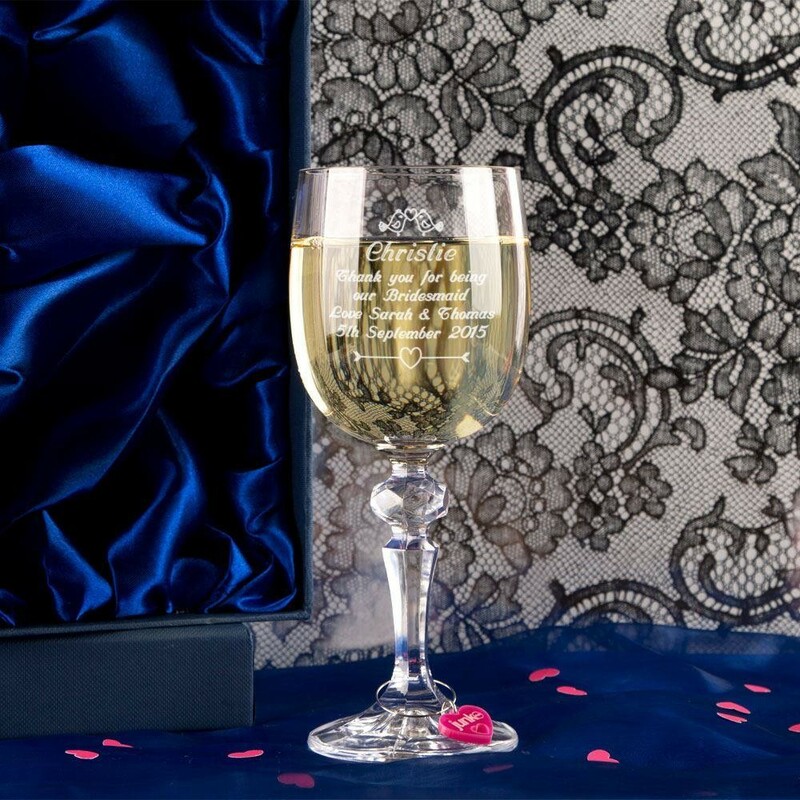 The glass comes complete with your bridesmaid's name under the bird design, a message of your choice and a pink heart Junko branded wine charm.